The final test is fully based upon the Women’s Fitness Instruction Courseware that is provided as part of the Women’s Fitness Instruction Certification. If you go through the courseware properly, you should not have a problem clearing the test. The test consists of multiple-choice questions from different chapters of the Women’s Fitness Instruction Courseware. The process of getting yourself certified is very simple. All you have to do is buy the ExpertRating Women’s Fitness Instruction Course for $69.99. Log in to your ExpertRating account using your password. 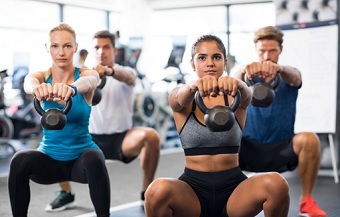 Go through the Women’s Fitness Instruction Courseware, which could take from one week to one month – depending upon how hard you work and your level of experience – and take the certification test at your convenience. You can take the test within one year of buying the certification. The result of the test appears as soon as it is completed, and your certificate is mailed immediately. 24 x 7 access to the ExpertRating Women’s Fitness Instruction Courseware. You can access the ExpertRating Women’s Fitness Instruction Courseware as soon as your payment is processed successfully, and you can complete your Women’s Fitness Instruction Certification within one year of enrolment.